Niraj Srivastava is retired from the Indian Foreign Service. 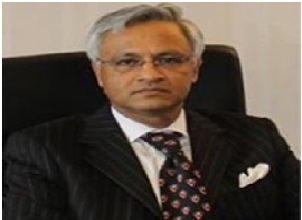 He has served in several Indian missions abroad including Syria, United States, Libya, Saudi Arabia, Canada (as Deputy Ambassador), Uganda ( as Ambassador), and Denmark (as Ambassador). He is presently self-employed as an Independent International Affairs Analyst based in New Delhi. Implications of Trump-Kim Summit: Nuclear Pays! Sanctions Precursor to War on Iran? Is It Time To Review India's China Policy? Qatar: Have the Saudi's Bitten Off More Than They Can Chew?